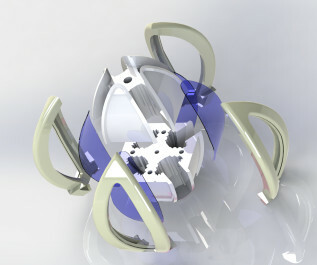 Shape of the ring gear sprocket, defined design features a chain link. 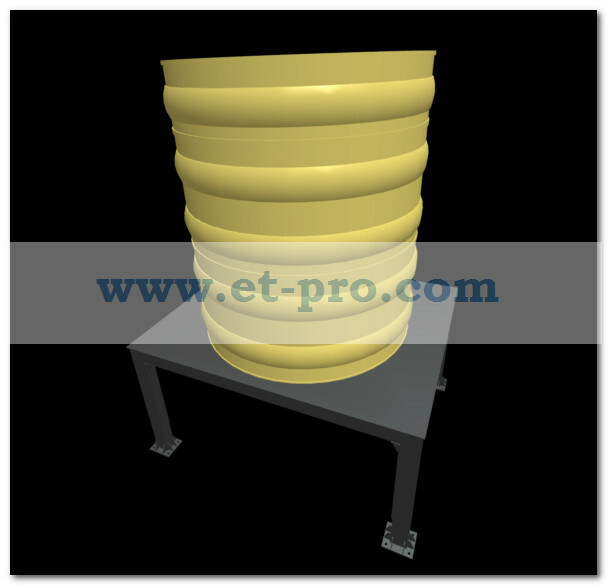 Contacting element traction plate chain ( GOST 588-81 ) with a tooth, can be sleeve or roller rink. 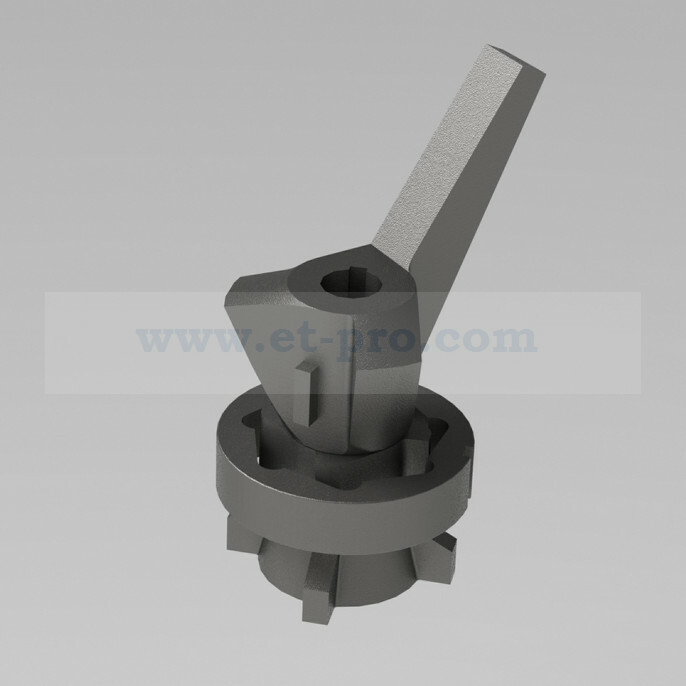 They all have a cylindrical shape which allows to provide uniform conditions for engagement with the chain drive and idler sprockets. Y drive sprocket contacting occurs primary tooth surface with an element of the chain link above. The shape of the main surface (profile) of the tooth, significantly determines the rate dynamic load occurring in the transmission chain. Hence, it sets the lifetime as chains and sprockets as well. Therefore, it is important to consider when designing a sprocket tooth profile shape of the primary. Sprockets for plate chain with major tooth profiles, are shown in Table . What tooth form, for plate chains choose? Hint to this question can be found in the pages of GOST 592-81 (instead of GOST 592-75) and GOST 591-69. 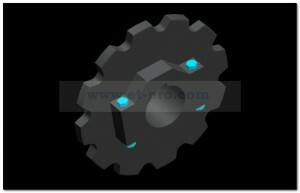 GOST 592-81 at a rate of less than 5 m / s.
GOST 591-69 at a rate of more than 5 m / s.
We have developed, for the traction plate chain (GOST 588-81), the drive and idler sprocket for scraper conveyor. 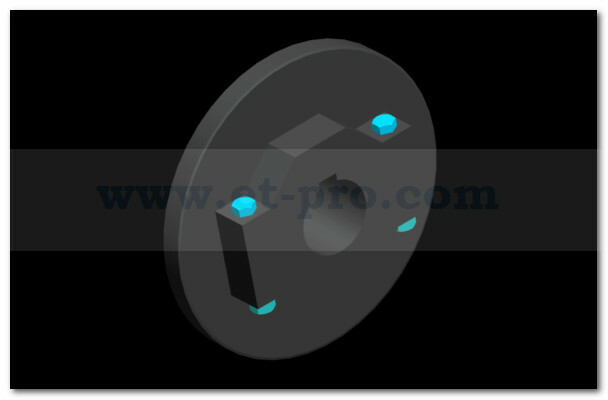 The calculation, of the tooth profile, of the drive sprocket, created in 3d-models , visualization and verification of sprocket teeth engage the links of a chain. After that, the issue of design documentation – detail and assembly drawings to the specification. By working drawings, issued in manufacture manufactured sprockets and delivered to the customer for installation in a scraper conveyor, which is the current maintenance. Execute development of drawings within a term- it to us! 100% ensure the issuance of working drawings for the manufacture of parts and timely start-up!